Birds and Bees Farm carries a full line of hive boxes, frames, and wax foundation, fully assembled or knocked down for shipping, copper napthenated and painted for long life, or natural pine. 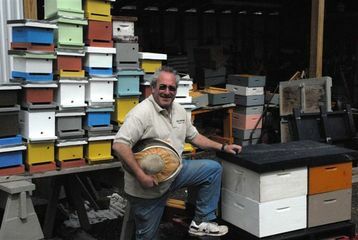 We sell what we build and use for our own hives; high quality craftsmanship. Our hive boxes are built to last! Call for pricing.